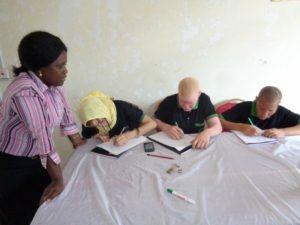 Three Albino girls sponsored by Judith Irwin, of Murphy, NC, under Diaconia Department at South East of Lake Victoria Diocese led by Deaconesses Matrida Sanga started Decoration class at Vocational Education Training Authority. The three girls are Thabitha Japhet Ichoma, Liku Mathias Masunga and Sumaiya Hilaly. These girls are from Shinyanga and Simiyu Regions. According to the superstitions taught by witchdoctors in the Sukuma society, they are shunned and sometimes in danger for their life. Because of this most are not taught how to support themselves and fulfill their dreams. This opportunity makes them feel honored. 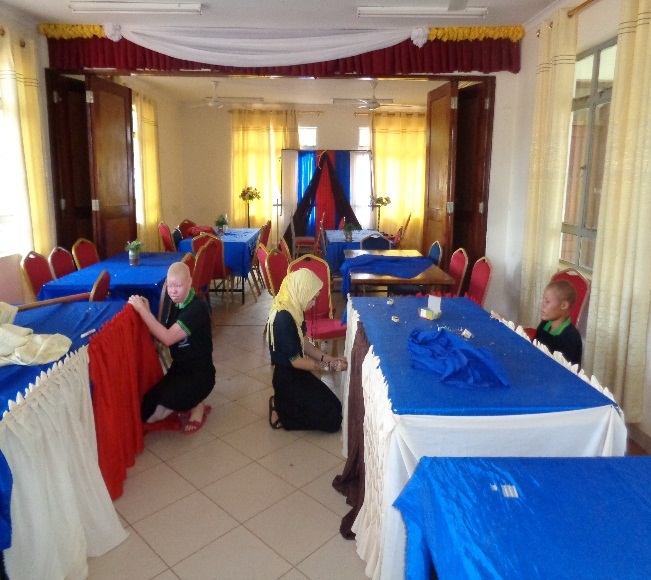 This also teaches those in Sukuma land that albinos are not to be feared or mistreated. A quote from the girls….“We will keep the sponsors in prayers and pray for those who have not reached with this grace to get it”. 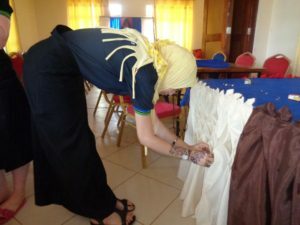 This is just one way the SELVD is working to help these forgotten people in society.